I know you have all been waiting for this, imagine how happy I am to tell you that they are finally here. 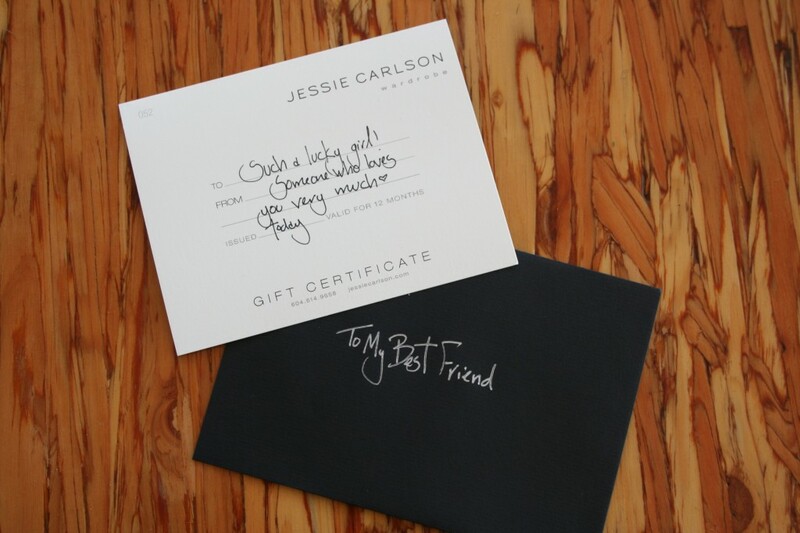 Jessie Carlson Wardrobe Gift Certificates. Giving an experience is all the rage right now, personally I think an experience is the best kind of present, unless we are talking about diamonds or a trip to Barney’s, I digress. 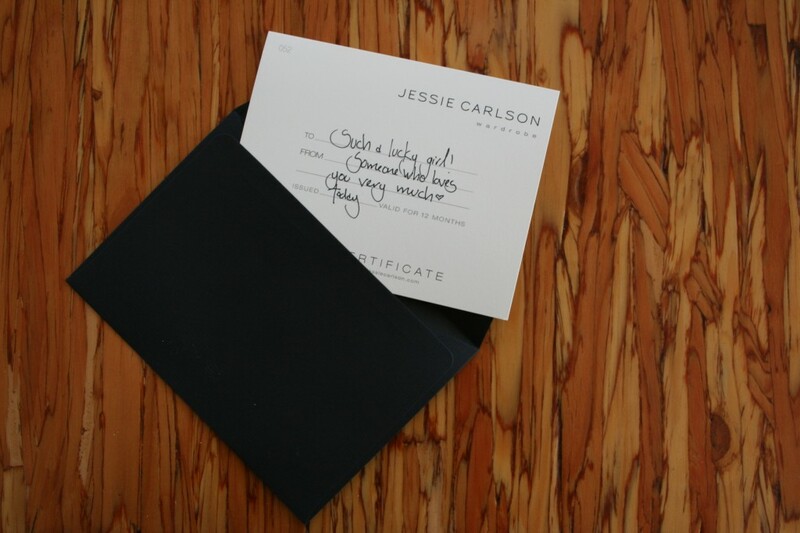 A Gift Certificate gives more than an experience, it will have a direct impact on the lucky gift receiver’s life. It’s like giving an important woman in your life something that will absolutely make her feel better about herself and her wardrobe. How fabulous! Also, it’s a gift that is both sustainable and local. Also, They are really pretty, don’t you think? I want one! Call me and we will figure out the best way to get one to you.